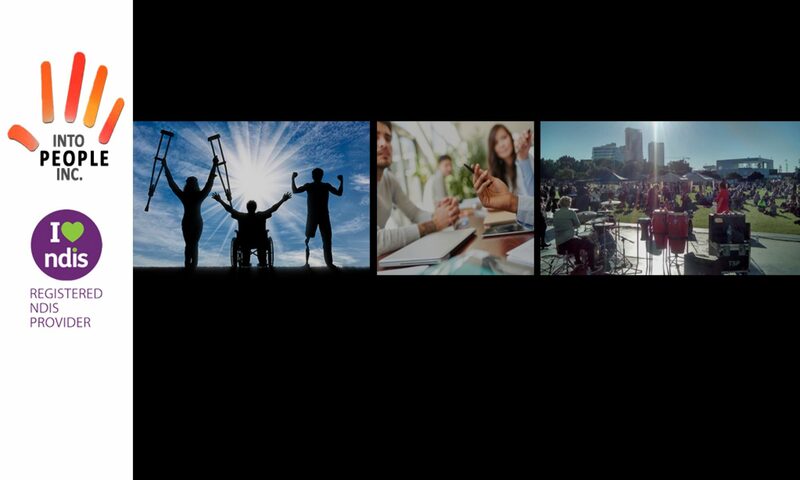 Home » Into People Inc.
Make us your National Disability Insurance Provider . We are a one stop shop to all services. We help you be in control of your approved services. • Advance Christian religion by holding corporate worship services open to the public, provide religious education, spiritual development and all the ordinances that include ordinations, baptism, marriage and funerals. • Assist highly disadvantaged individuals through a compassionate, non-judgmental, non-discriminatory, approach to delivering pastoral care, financial, material aid, counselling, employment and training assistance and spiritual development. • Promoting reconciliation, mutual respect and tolerance between groups of individuals that are in Australia through cultural awareness programs and fostering social coherence and racial harmony by hosting community cultural events. To develop and deliver a range of social, recreational, multi-cultural, and other activities, conducive to the growth of social coherence, racial harmony, and an appreciation of diverse cultures within our community. Promote creativity of various nations, cultures and religious forms of arts, visual arts, dance, and theatre and world music. To implement education and awareness workshops and conferences that promotes cultural diversity. Implement early intervention and prevention strategies to protect the family unit. Encourage the formation of men’s groups to deal with issues. Encourage the formation of women’s groups to deal with issues. Provide care and support for the elderly by the formation of support groups and home care services. Provide services aimed to assist the homeless, children, adolescents and adults. Implement education awareness and counselling programs aimed towards early intervention and prevention for the various forms of abuse. Initiate and foster networks of support groups of victims of various abuses. Implement peer counseling and mentoring strategies, and initiatives that prevent all forms of abuse. Implement personal development programs that restore the individual. Assistance and social interaction initiatives for the people who are single, lonely and socially isolated. Early intervention and prevention programs. Providing counselling care and support. Formation of support Groups for carers and sufferers of depression, stress and anxiety. To provide financial assistance, material help and counselling to alleviating poverty, where and when it is possible. To initiating and implementing enterprise strategies to generate employment and training opportunities for the disadvantaged long-term unemployed. To develop creative programs and encourage enterprise initiatives initiated by the clients. Assist the labor market disadvantaged, long-term unemployed, youth at risk, single mothers, women re-entering the workforce, and mature aged persons in acquiring the necessary training and skills to be gainfully employed. Various services are provided to the service providers to be effective within the community. To provide Ministry credentials, Pastoral Care, Ministry, Support and Counselling certificates. To provide independent churches and ministries recognition and support. To foster a non- threatening, non-judgmental and non-discriminatory environment among ministers, churches and ministries by uniting them together under the common objectives of the constitution, ethics and conduct and doctrinal creed. To take responsibility and provide guidance and support in Spiritual, doctrinal, administrative and disciplinary matters when requested by the church minister or the church board. To establish churches and ministries in Australia and overseas. Being a united voice for the service providers, churches and ministries within the community, and to assist in the promotions and marketing of their services to the community. Assisting Churches and Ministries access Government and non-government funding, preparing submissions and incorporation. Fostering an alliance with all service providers within the community. To present the body as a unit of love, truth and compassion able and capable of meeting the needs people through the grace and power of God. To initiate and develop opportunities to express God’s love and Grace through all forms of arts, music, creative movements, dance and theatre. To develop, initiate and implement initiatives to promote the Gospel and good life through all forms of media and technology available. Establish various training programs in spiritual growth. Host evangelistic events, conferences and training workshops. Initiate activity groups for the purpose of spiritual development. Provide Pastoral care, family mediation, counseling and support.